SPLC's "Hate Map" shows 28 hate groups in Michigan. The Southern Poverty Law Center lists 28 "hate groups" in Michigan for the year 2016. The year before, the SPLC listed 19 in the state. Hate groups peaked in Michigan in 2010 when the SPLC listed 35 in the state. That peak coincided with a national peak in hate group activity as well - the numbers then fell before rising again. The rise accelerated in 2009, the year President Obama took office, but declined after that, in part because large numbers of extremists were moving to the web and away from on-the-ground activities. In the last two years, in part due to a presidential campaign that flirted heavily with extremist ideas, the hate group count has risen again. According to its data, Michigan saw four more KKK groups, three more "anti-Muslim" groups, and one more black separatist group. "All hate groups have beliefs or practices that attack or malign an entire class of people, typically for their immutable characteristics. The SPLC list was compiled using hate group publications and websites, citizen and law enforcement reports, field sources and news reports. Locally identified groups are tracked where members participate in hate group activities which can include criminal acts, marches, rallies, speeches, meetings, leafleting or publishing. To be included on our 2016 hate map, each group participated in at least one hate group activity during 2016." It's no surprise that some people listed on the "Hate Map" disagree with the designation. 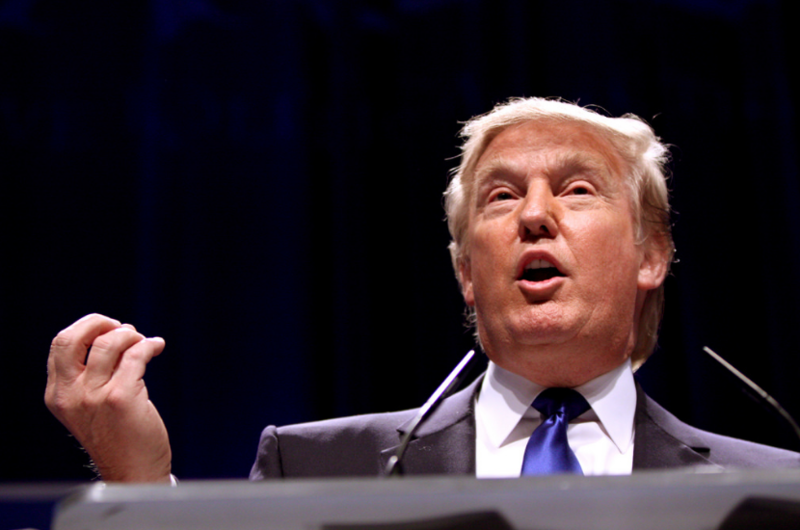 The Family Research Council calls its designation as a hate group "defamatory." The SPLC lists the FRC as a hate group for its anti-LGBT stances. And some aren't necessarily "groups." Bill Wiesner founded "TC Family." Wiesner is often seen at parades and events around Traverse City with anti-LGBT signs, but according to Wiesner, TC Family is not really a group. TC Family — which Wiesner said is “basically” just him — is the only hate group listed in Traverse City or northwest Michigan. The group’s website offers a hodgepodge of links claiming to disseminate the “truth” about homosexuality and other LGBT people. The SPLC has seen an increase in hate groups it's identified nationally since 2014 -- going from 784 in 2014, to 917 in 2016. (Its list peaked in 2011 at 1,018.) The SPLC attributes the recent increase in hate groups to the election of President Trump and the rise of nationalist tendencies around his campaign. *Clarification - an earlier version of this post carried the headline "More 'hate groups' found in Michigan since last year ..." We changed it to reflect the SPLC's data last looks at the year 2016. An anti-Semitic group that's been protesting at a synagogue in Ann Arbor was added to a national hate group list earlier this month. The group "Dier Yassin Remembered" (sometimes referred to as “Witnesses for Peace”) has picketed outside the Beth Israel synagogue with anti-Israeli messages for over a decade now. 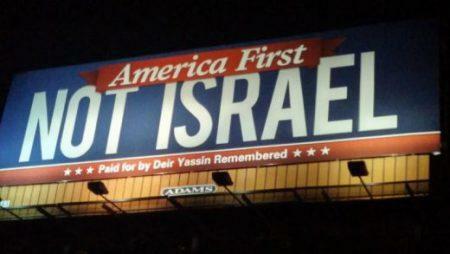 In recent years, the group has largely been promoting its message “America First, Not Israel,” which was posted on multiple billboards in southeast Michigan. Editor's note: Michigan Radio has posted a more up-to-date version of the type and number of hate groups. You can find it here. The Southern Poverty Law Center released a report today on hate groups in the U.S. They say there are now more than 1,000 such groups around the country, the first time the SPLC has seen the number of "hate groups" top 1,000 since it started counting them in the 1980s. A hate group is defined by the SPLC as a group that has "beliefs or practices that attack or malign an entire class of people, typically for their immutable characteristics." 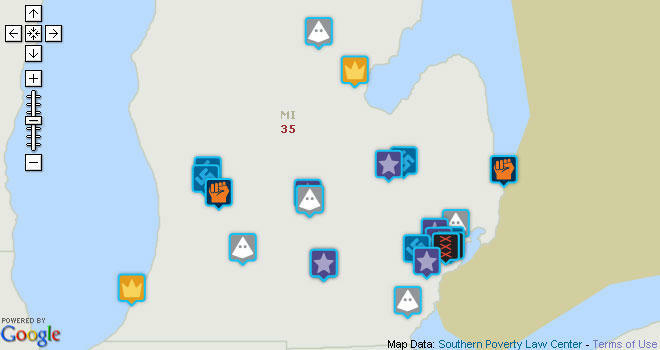 The SPLC lists 35 "hate groups" in Michigan on their map.